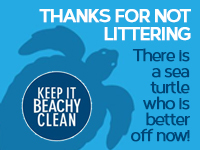 We are proud to announce that we provide a smoke free environment. In an effort to keep our rooms smoke and allergen free, any guest who violates our smoke free policy will incur an incidental fee of $250.00. Our hotel has many amenities to suit your needs. 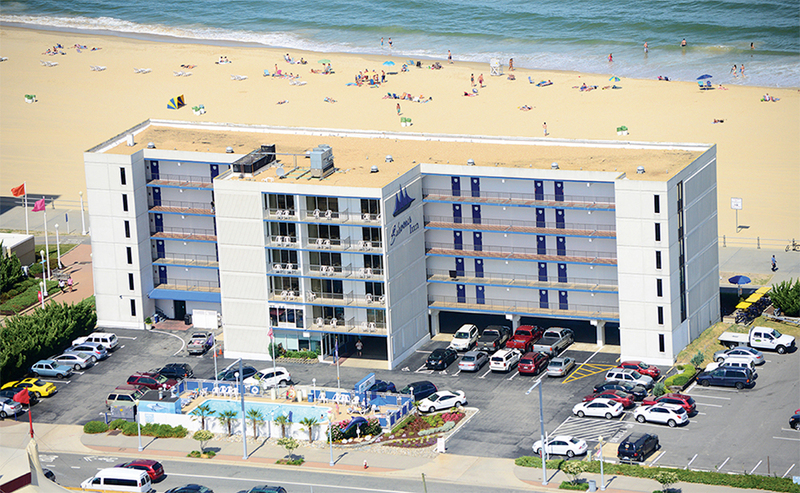 We are located on the oceanfront with beach and boardwalk access directly in front of the hotel. 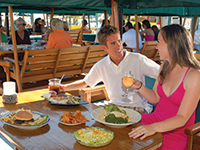 Relax and enjoy views of the Atlantic Ocean or boats coming out of Rudee Inlet from our oceanfront patio rooms. We have 5 different rooms types, Kitchenette, Efficiency, King Whirlpool, Kitchenette Deluxe, and a Two-Room Suite. Each room has a refrigerator, cable television with ESPN and FREE HBO, direct dial phones, under counter refrigerator, hair dryer, flatscreen tv, free HBO, coffee pot, air conditioner, iron & ironing board, free WIFI, and a daily maid service. Take a moment to view the room layouts. If you have any questions, don’t hesitate too call us. We would be more than happy to answer any questions that you may have. We have a large heated outdoor swimming pool, free on-premise parking, a wide guarded beach with umbrella and chair rental service. Also available is an on-site bike-rental service accessible during summer season. Our guests can also take advantage of our coin operated laundry on-site. Our location is ideal in that we are on the south-end of the oceanfront with spectacular views of both Rudee Inlet and the Atlantic Ocean. 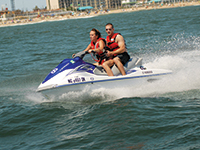 We are close to many of the areas activities such as surfing, golf, tennis and local marina’s for fishing. From our hotel, you can walk, ride or roller blade along the gorgeous boardwalk. Looking for something fun to enjoy with your kids? Then venture on over to Grommet Island Park. 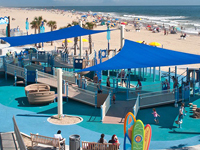 This oceanfront park and playground is within walking distance from our hotel and is 100% handicap accessible for everyBODY and is the first of its kind in America. 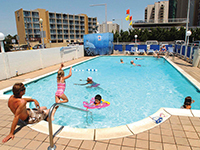 Also we are only 1/2mile from the Virginia Aquarium & Marine Science Museum and Ocean Breeze Water Park.